Newly appointed National Chairman of the Peoples Democratic Party, PDP, Ali Modu-Sheriff has denied having any ties with the dreaded Boko Haram terrorist sect, stressing that President Muhammadu Buhari would have arrested him if he had any connection with the blood-lust group. 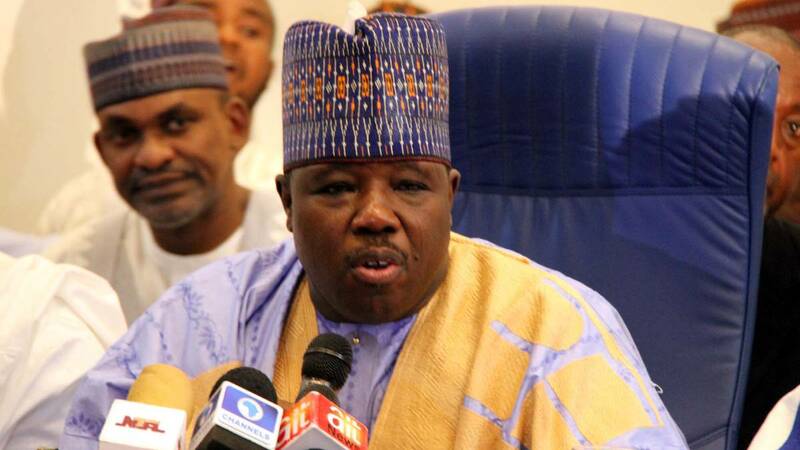 Speaking in an exclusive interview with ThisDay, Sheriff stressed that speculations about his sponsorship of terrorists exist only as a figment of the imagination of those blackmailing him and wondered why those behind the rumour did not raise the matter when he was in the All Progressives Congress, APC. was labelled a Boko Haram sponsor, reminded Nigerians that he had also been a victim of the Boko Haram attacks which led to the death of his blood brother as well as other relations. According to him, “Boko Haram wanted to kill me at a time because they believed that I was the one that reported them to President Umaru Yar’Adua to destroy their enclave. It was after I left government that they moved to their different camps and bushes. Why should they kill my brother? Why should they kill my family if I am a sponsor of Boko Haram? Is there anywhere in the world that you sponsor people to kill you? “Let me give you a typical example. Just a week ago, all the social media planted my picture showing me with the card of APC joining the party. At that time, nobody wrote that I was Boko Haram. They said Sheriff was going back to APC; they were showing a card when we registered with APC before I left the party. We went to our villages to do it; that village they are showing on the social media was a village that was taken over by Boko Haram for the past three years. So, how could I have gone there to register?